BBC News. Hello, I'm Gareth Barlow. Up to half a million people have been urged to evacuate their homes in the southeastern United States in preparation for the arrival of hurricane Michael. Forecasters say the storm has strengthened into a category three hurricane as Gary O'Donoghue reports. Hurricane Michael is heading straight for Florida's panhandle and forecasters say it will probably make landfall late on Wednesday afternoon. 120,000 people are under mandatory evacuation orders, but local officials believe a far fewer number than that have in fact moved away. Many shops and businesses were closed on Tuesday and gasoline was becoming scarce. While extremely high winds are expected, the main fear is a surge in sea water levels and the damage that could bring to these low lying communities when it comes ashore. The International Monetary Fund has warned that there is a real risk of a new and widespread shock to the world economy. 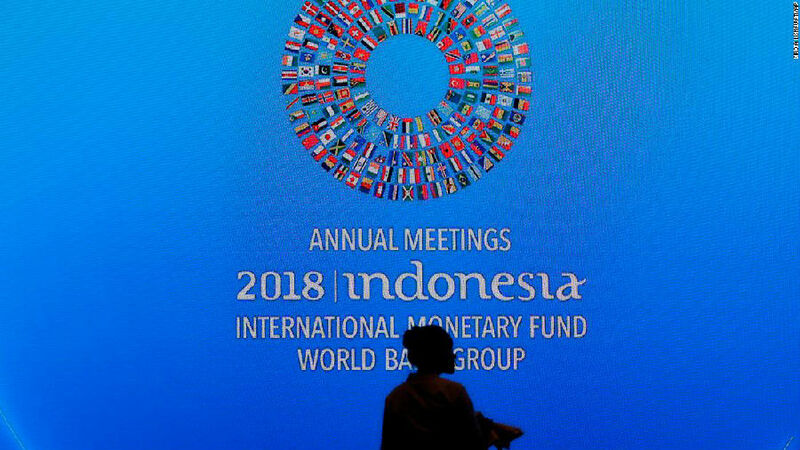 In a report issued ahead of the meeting in Indonesia with the World Bank, the IMF said dangerous undercurrents were evident because of the increasing trade tensions and mounting interest rates. Our economics editor Kamal Ahmed has this assessment. This second sober warning in 24 hours shows just how seriously the IMF is taking the possibility of a sharp reversal of economic fortunes around the world. Yesterday the body downgraded growth forecast for this year and next, blaming increasing trade tensions. Today, in a major report to mark the 10th anniversary of the financial crisis, the IMF said risks were increasing not just around trade disputes, but around a growing complacency that stock markets could only travel in one direction upwards. A new report by a leading medical journal says the majority of countries are failing to address the needs of that more than a billion people worldwide affected by mental health disorders. The study published in the Lancet journal says this failure is exacerbating poverty, social cohesion and economic progress. With more details, our global health correspondent Smitha Mundasad. Researchers say this could cost the global economy some sixteen trillion dollars by 2030. They warned that in many countries, people routinely face abuse or detention for mental health issues, and few get the full support they need. They make several recommendations, including more use of digital innovations to diagnose and help people. The report also suggests more psychological support is delivered in the community by non-specialists such as teachers, religious leaders, and the police.